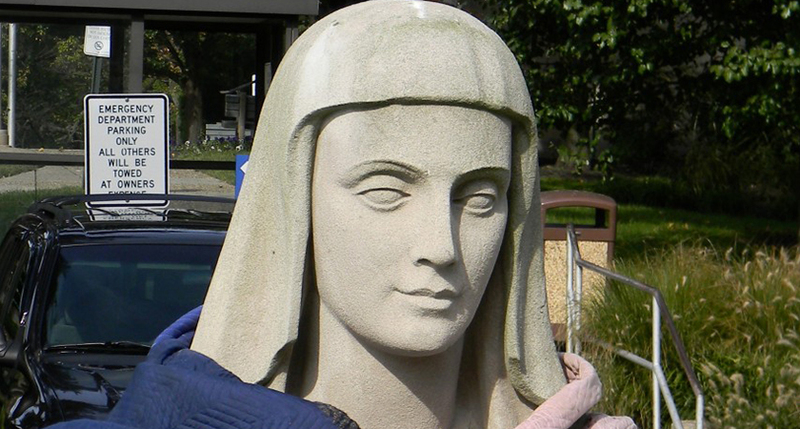 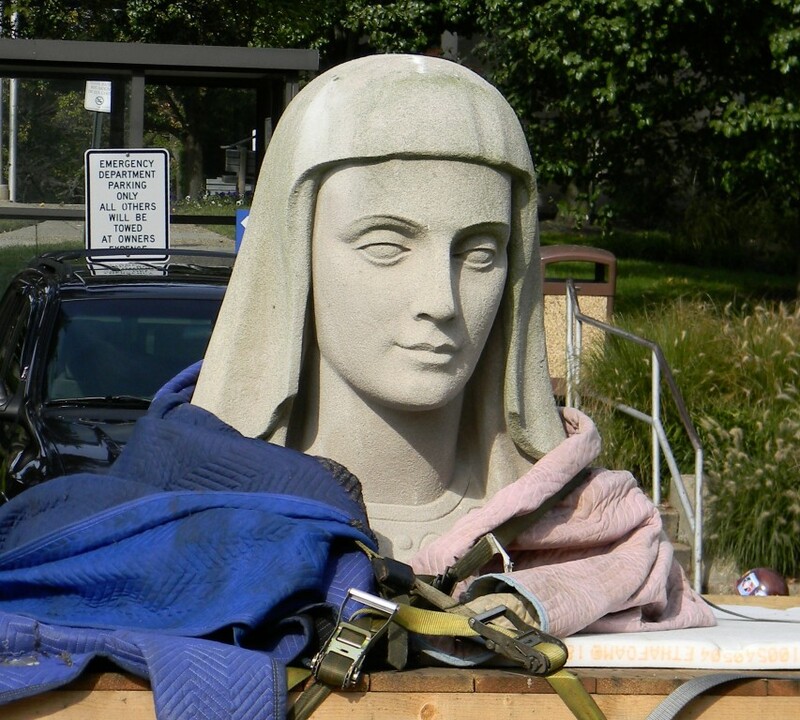 A cherished statue of the Blessed Virgin Mary has stood atop Our Lady of Lourdes Medical Center since 1950, representing a symbol of hope and light for the surrounding community. 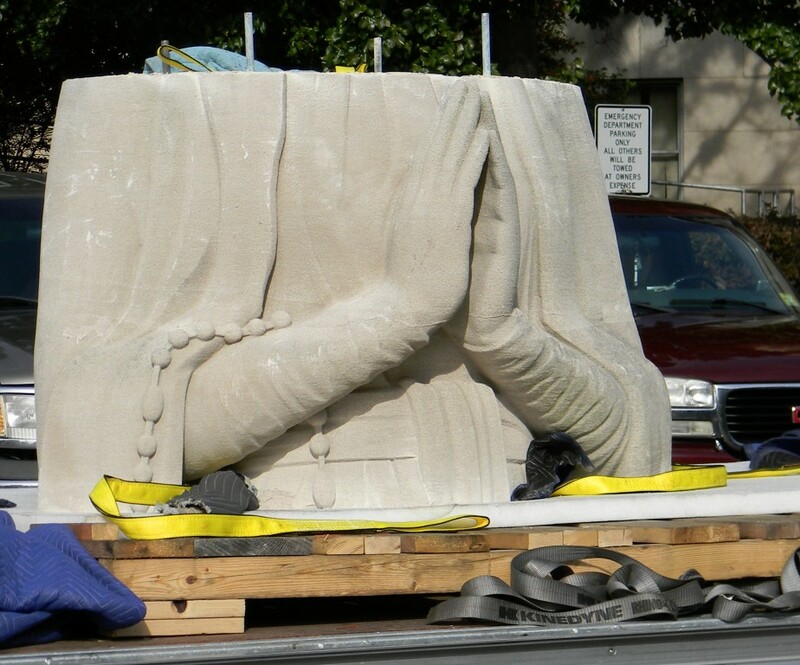 Damage caused by the 5.8 magnitude earthquake that struck the East Coast in August 2011 required the statue to be delicately removed, repaired and again put back in the exact place it has stood for more than 6 decades. 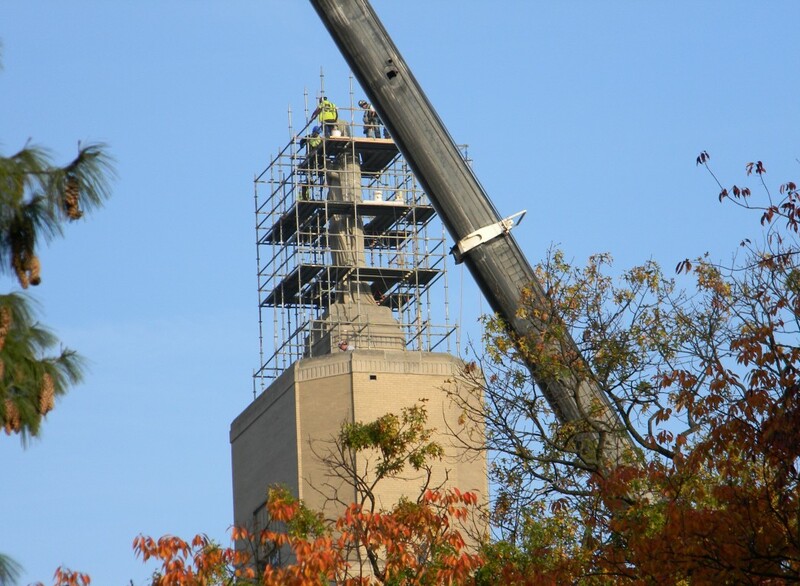 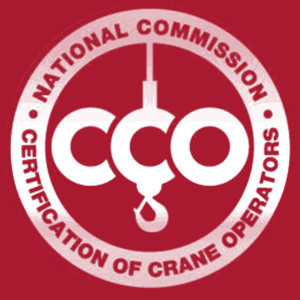 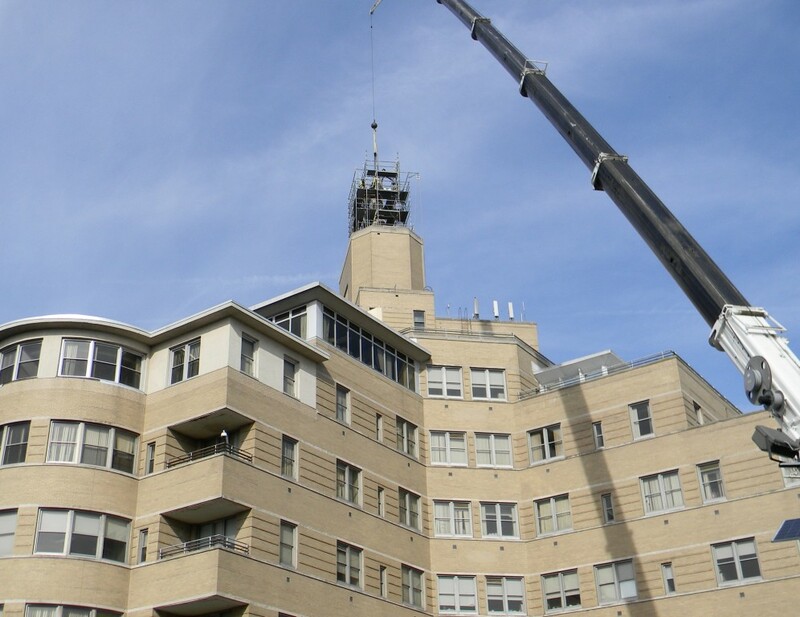 Thackray Cranes, operated by Thackray’s experienced operators and field crews, performed multiple critical crane lifts required to lower and hoist each segment for this 15 ton statue. 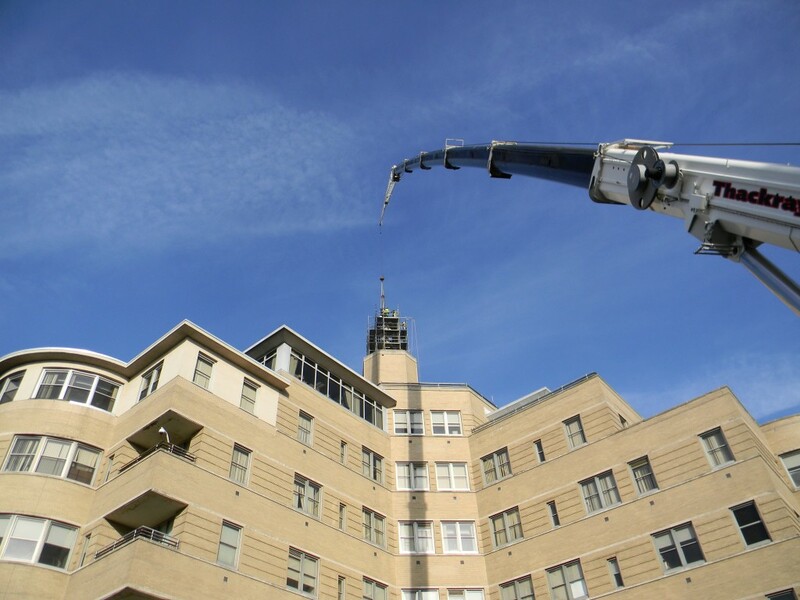 In addition to coordinating and working with other contractors, local authorities were involved, street closures were in place and additional safety precautions were taken in order for Thackray’s mobile telescoping hydraulic cranes to be properly positioned. 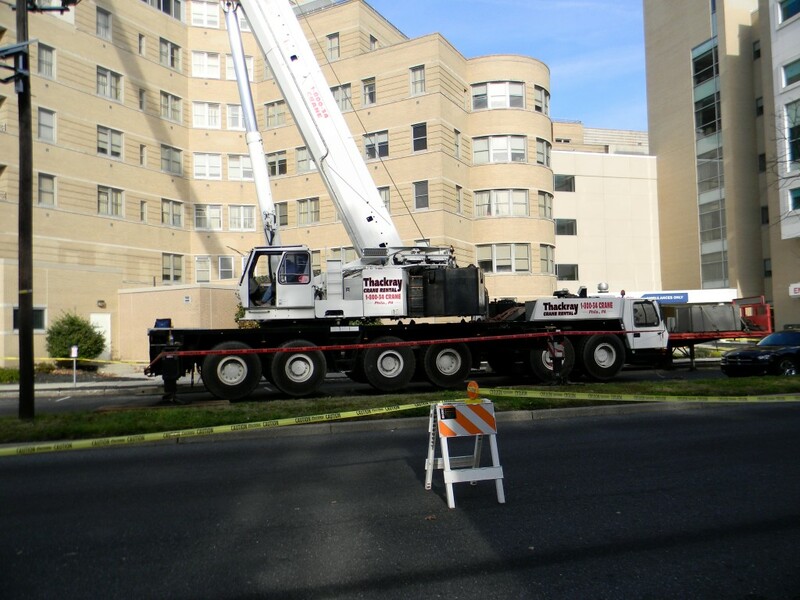 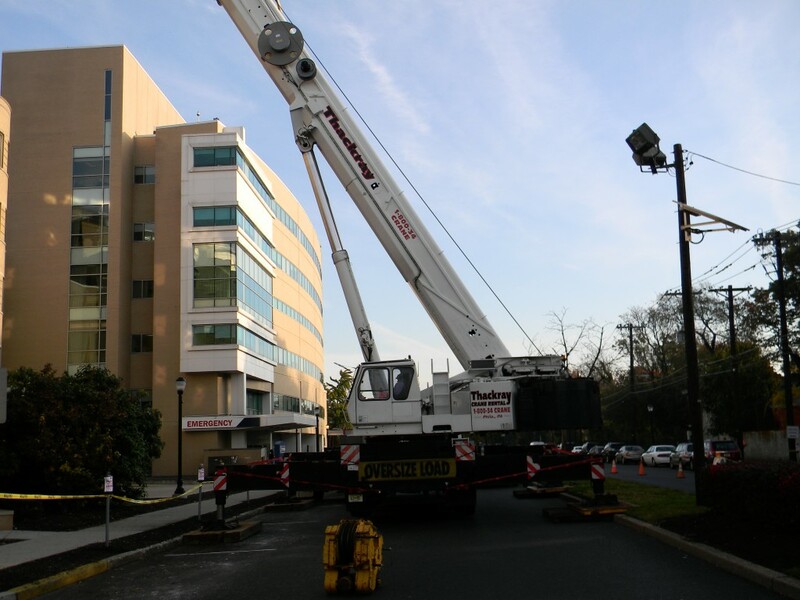 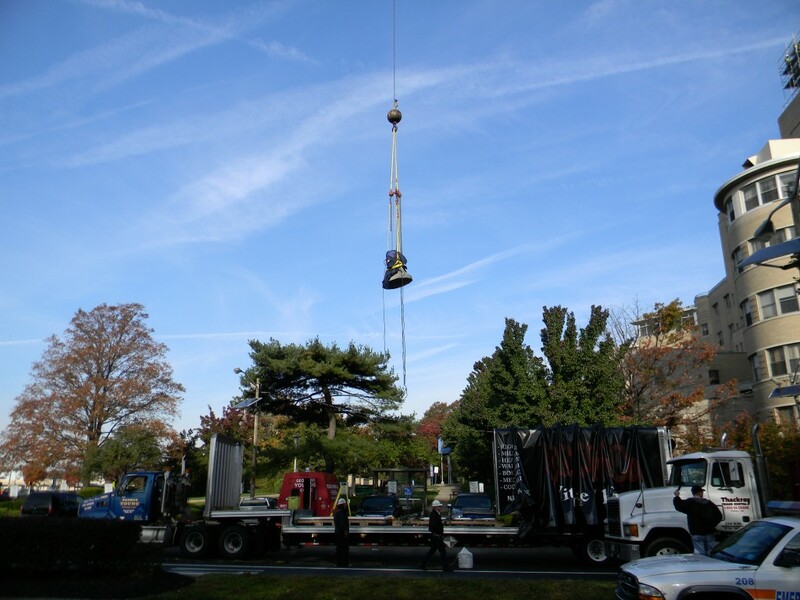 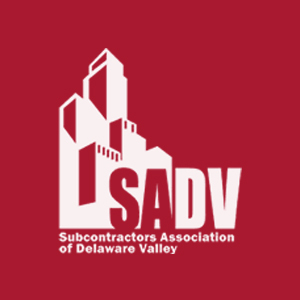 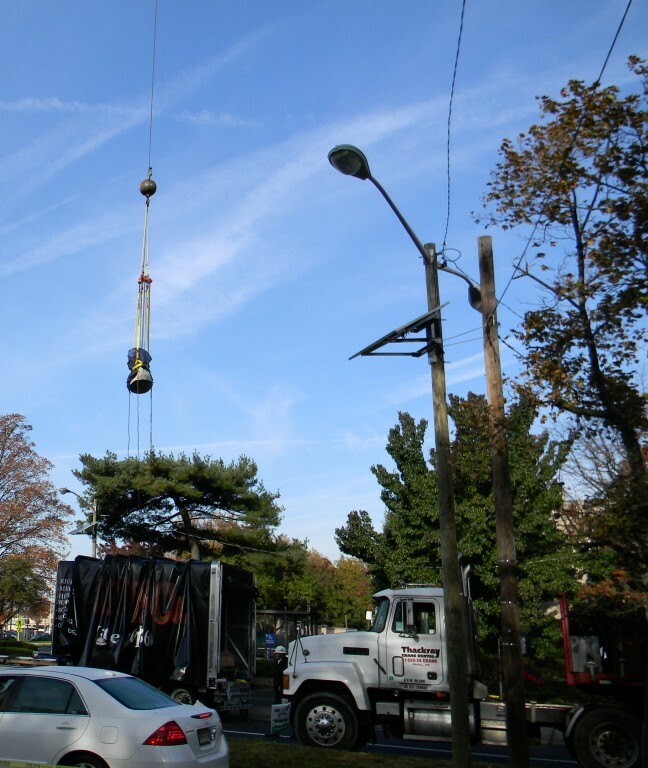 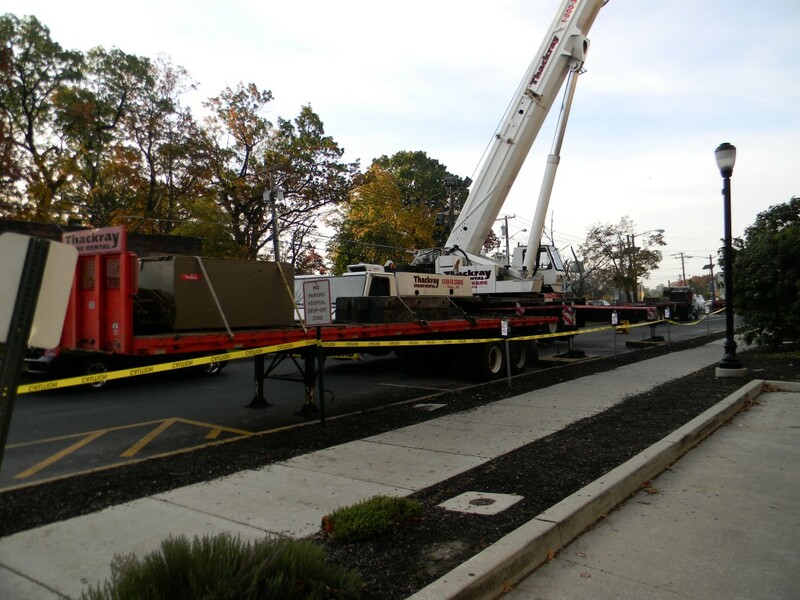 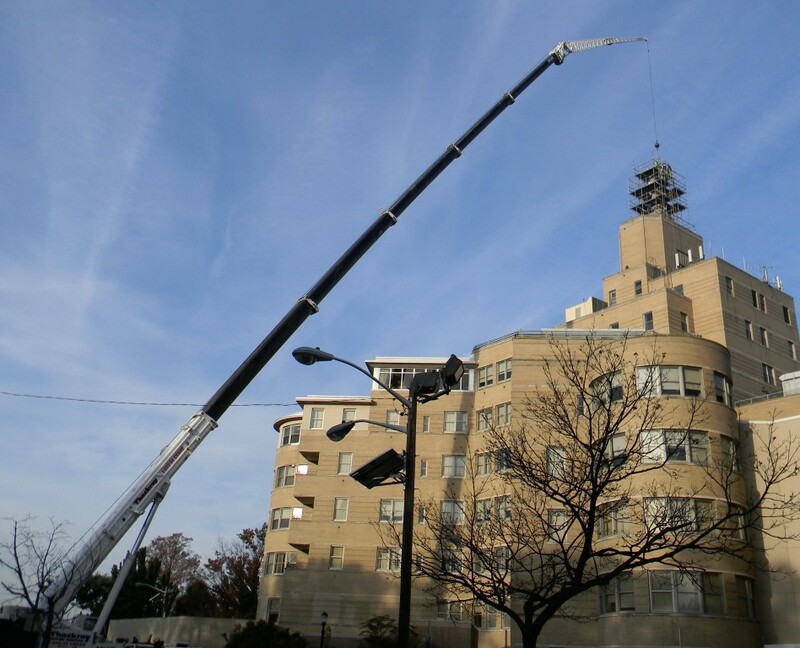 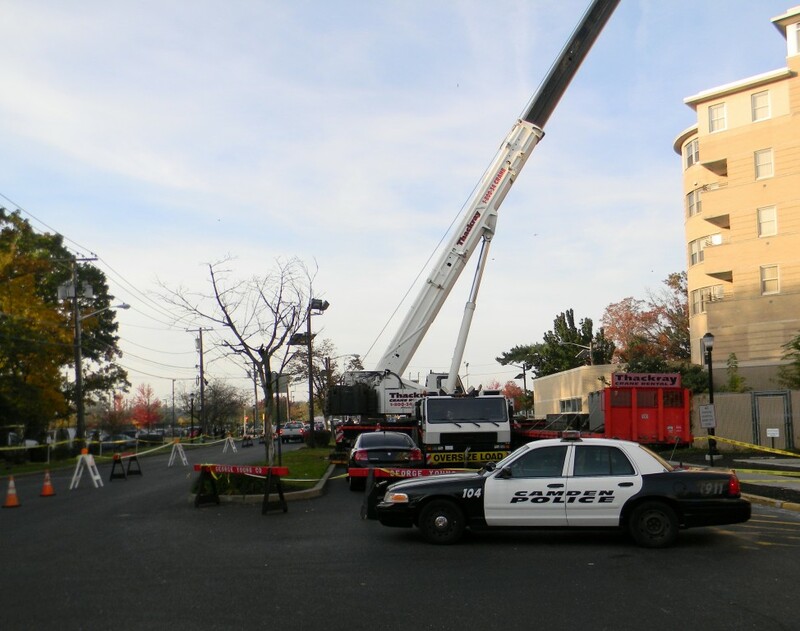 Thackray safely performed the delicate work of removing and then installing the statue back into its original location positioned high above the streets once again looking over the medical center and its surrounding communities.